Startups get acquired and shut down. That threat could scare people out of writing deep answers on Quora’s Q&A site. So it’s just raised an $80 million Series C because “We specifically want to stay independent for the long-term,” Quora CEO Adam D’Angelo tells me. Sources close to the deal say the round values Quora at around $900 million. Quora lets people ask or answer any question and vote up or down other answers so the best ones rise to the top. 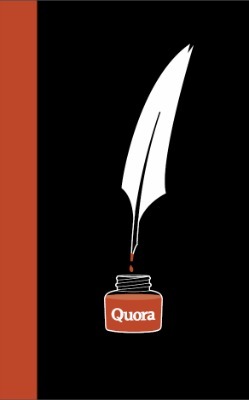 Yet one big question about Quora itself has been just how popular it is. Quora consistently refuses to divulge usage stats, though it did say it grew 3X in all metrics from May 2012 to May 2013. But Quora exec Marc Bodnick tells me that public measurement services “significantly underestimate” Quora, and “are off by a factor of 5X to 15X.” That does gel with our skepticism of these traffic trackers. But if you average comScore‘s 1.2 million web uniques estimate for Quora in February with Compete‘s 1 million, and multiply it by 5X and 15X, Bodnick’s comment would imply Quora’s web traffic could be somewhere between 5.5 million and 16.5 million monthly users, and you’d have to add another 40 percent for mobile on top of that. That’s a very broad range but brings some insight into Quora’s presence. The potential for Quora to one day monetize on its deep archive of evergreen content may be what attracted Tiger Global to it. Quora wasn’t fundraising. In fact it had most of its previous $50 million Series B raised in May 2012 still in the bank. But when New York’s Tiger Global Management approached D’Angelo, he says it felt right. The $80 million round was joined by Quora’s previous investors Benchmark, Matrix Partners, North Bridge Venture Partners, and Peter Thiel. It more than doubles Quora’s valuation from the $400 million number from its Series B round. The plan is to leave most of the money in the bank as a form of insurance. In case there’s an economic meltdown and it becomes tough to raise money, Quora will have a big enough nest egg not to have to be acquired. “I think we want our users to trust that Quora is a place that they can share their knowledge and that we’re going to keep that knowledge available forever,” D’Angelo tells me. What it does spend will go on towards building out Quora’s product. D’Angelo says that includes making it easier for diehard users to find their old answers. He also admitted that now that Quora is almost five years ago, some top upvoted answers are out of date. The company is looking for a way to recognize which are stale so it can either encourage people to update their answers or slide more timely ones to the top. Internationalization will also be a big endeavor in the coming years for Quora. It plans to get translated into several additional languages, which makes sense as I hear Quora is getting very popular in some places abroad, including India. And Quora will invest in its infrastructure including growing the team beyond its current headcount of 70, strengthening spam prevention, improving its relevancy-filtered home feed, and buying servers. He also notes that people end up asking and answering the same questions over and over on other sites and apps, but Quora has worked hard to de-duplicate questions so people can always find the canonical answer.